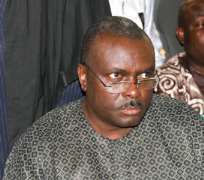 Former Delta State Governor James Ibori hid some of his assets in the oil firm Oando and money passed from the company's accounts to Ibori's Swiss accounts, a British prosecutor told a court yesterday. Prosecutor Sasha Wass told the court she would be presenting evidence that Ibori had 'asserted ownership of a large part' of Oando, Nigeria's biggest home-grown oil firm which is listed in Lagos, Johannesburg and Toronto. 'The Crown will assert that Oando is a company where James Ibori has hidden assets', Wass said, giving no further details. She is expected to elaborate later in the proceedings. The spokesman also said that at present, Ibori had an 'insignificant' shareholding in Oando. At the time of Ibori's sentencing in April 2012, Judge Anthony Pitts said the 50 million pounds that he had admitted to stealing may be a 'ludicrously low' fraction of his total booty, which could be more than 200 million pounds.